Below is our press release today. CHARLEVOIX, MICH. – The Committee to Ban Fracking in Michigan, a citizen-led ballot initiative group seeking to ban horizontal hydraulic fracturing, or fracking, announces its campaign kick off events in communities around the state. Volunteer circulators begin collecting signatures starting April 12, 2013 for a six-month period to qualify for the 2014 ballot. The kick off events are for volunteers and people interested in volunteering for the campaign to obtain petitions and campaign literature, learn about the ballot initiative process and how to circulate petitions, and begin organizing in their community. “In Michigan we have the constitutional power to write our own laws through a ballot initiative and put them before the voters. Other states threatened by fracking, such as New York and Pennsylvania, do not have this option,” said LuAnne Kozma, campaign director. Michigan is already being fracked by the gas industry, with 52 wells permitted so far. 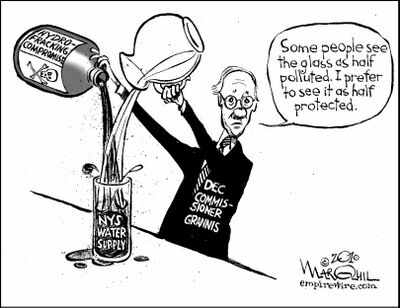 Toxic chemicals, many of them known carcinogens, sand and water are used in the process to fracture the targeted rock formations, permanently destroying millions of gallons of water by turning them into frack wastes. “Drilling and fracking create a tremendous amount of solid, liquid and gaseous wastes, polluting the land, water and air. Wastes and pollution are integral to the process, not an accident or a possibility, but a surety,” said Kozma. In Michigan, drill cuttings and muds are brought to landfills or solidified on site. Frack well wastes are brought to injection wells. Some of the frack wastes stay inside the frack well, transforming it into its own toxic waste well. Wastes from frack wells in one county are brought to injection wells in other locations. For example, some frack wastes generated in Kalkaska County are brought to an injection well in Grand Traverse County. Michigan has over 1,000 injection wells and more are being proposed and approved. The frack industry is using more groundwater per well in Michigan than any other state, with wells by Encana using 21 million gallons per frack and the company’s newest applications proposing to use over 31 million gallons per frack. The industry and regulators have widely used the figure 5 million gallons. Higher amounts of water mean Michigan is also creating much more frack waste. Michigan depends on clean ground water for drinking, with more private wells than any other state. Michigan is also connected to four of the Great Lakes and its water flows directly into them. The Committee to Ban Fracking in Michigan changed its petition in 2013 from a constitutional amendment proposal to a “legislative proposal.” The Committee starts collecting signatures April 12. The legislative proposal would amend the state statute, not the state constitution, and requires 258,088 signatures. When the signatures are validated, the proposal goes first to the legislature, which must pass or reject it with no changes. If the House and Senate vote no or take no action within 40 days, the proposal automatically goes to a vote of the people in the November 2014 election. Once the ballot proposal wins, the new law cannot be vetoed. The legislature can only amend it with a ¾ vote in both houses. 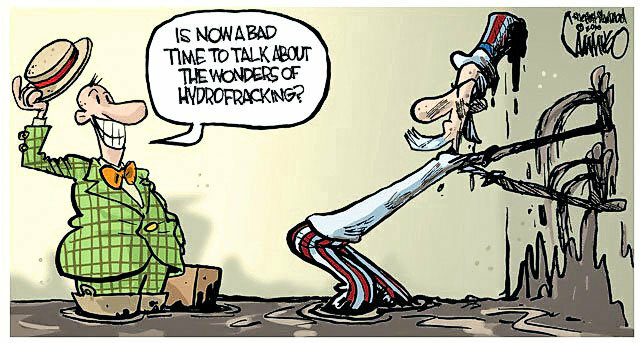 In addition to banning horizontal hydraulic fracturing, the Committee to Ban Fracking in Michigan’s ballot proposal would ban frack wastes and eliminate the state’s policy codified into current law “fostering” the oil-gas industry and “maximizing production” —“frack, baby, frack” language that provides the fossil fuel industry with uncommon special interest protection. The entire Lower Peninsula now stands to be fracked. Devon Energy is fracking in the A-1 carbonate layers in Crawford, Ogemaw and Roscommon Counties in the middle of the state. Encana is drilling the Utica-Collingwood shale in state forests and on private land and plans to drill and frack 500 to 1,700 sites. Densely populated areas such as Ann Arbor, Oakland County, and the Grand Rapids region– communities historically not affected by oil and gas drilling within their borders–are now facing the threat. 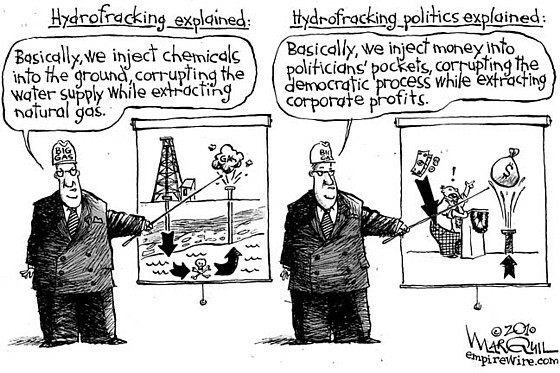 The campaign website is: http://letsbanfracking.org. March 30, 1 to 3 p.m.
April 2, 7 to 8 p.m.
April 4, 6 to 8 p.m.
April 5, 1:30 to 3 p.m.
April 5, 5:30 – 7:00 p.m.
April 6, 9 to 10 a.m.
April 6, 11 a.m. to 1 p.m.
April 6, 1 to 2 p.m.
April 6, 3 to 5 p.m.
April 9, 3 – 4 p.m.
April 7, 1 to 2:30 p.m.
April 8, 11 a.m. to 3 p.m.
April 9, 11 a.m. to 3 p.m.
April 9, 6 to 7 p.m.
April 10, 6 to 9 p.m.
April 11, 7 to 8 p.m.
And 7 to 9 p.m.
April 12, 7:00 to 8:30 p.m.
April 13, 11 a.m. to 1 p.m.